This April the world famous furniture giant IKEA takes a more active approach on the market of wireless technologies and smart home systems. A little earlier the company presented its series of wireless charging furniture with built-in charging spots and pads. Now, as soon as the smartphones are wirelessly charged, it’s high time to use them for controlling the lights in our homes. 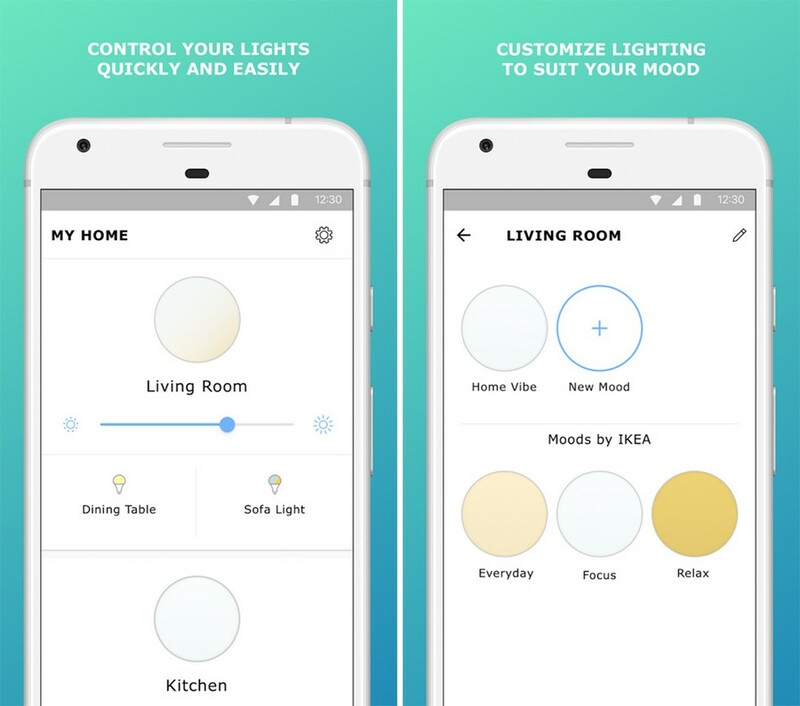 The brand new system of automated lights is the first serious step of IKEA into the Internet of Things. The product line was dubbed “Tradfri”, which stands for “wireless” in the Swedish language. The Tradfri light system is built around the ZigBee standard, which is traditionally applied to wireless sensor networks, medical equipment, industrial automation systems, electronic household appliances and Smart Home systems, of course. But the “central office” of the system is a gateway/hub that needs the Internet connection to operate and create the local network of Ethernet-connected light sources. With the Tradfri gateway the user can download a free-of-charge app for controlling the lights from a smartphone or a tablet working with Android or iOS operating system. The standard Tradfri smart kit includes a gateway, a remote control and two light bulbs (however, all these devices are available separately as well). One remote control can be paired with up to 10 light sources. Optionally the user can additionally diversify the system with a dimmer switch. It is also wireless and looks like a small puck. Simply rolling this dimmer in his hand, the user can dim up or down. However, the same functions are available in the app and from the remote control. Besides a conventional on/off button, the latter includes four other buttons. The two of them are in charge of changing the color temperature; there are three options available – 2200K, 2700K and 4000K. The other two buttons change the brightness of the light. The user may either dim up/down in steps by short presses or do it seamlessly by pressing and holding the button. 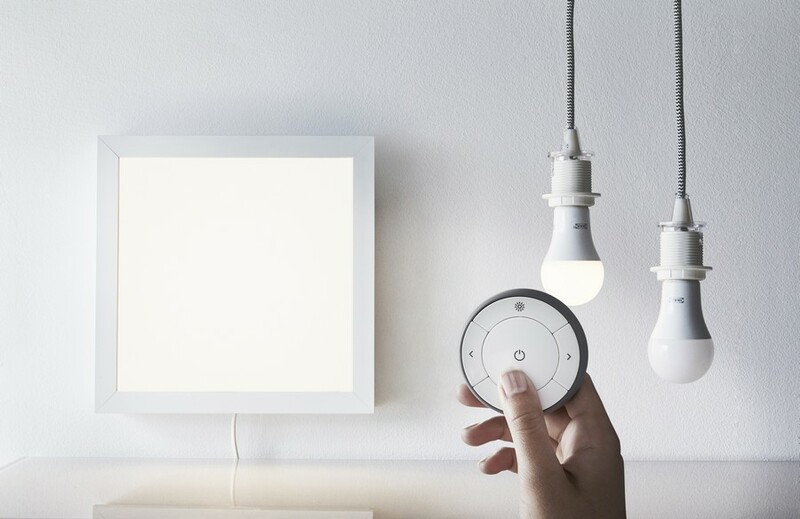 These smart lights are already available in many European countries and by the end of 2017 the Swedish giant plans to expand the geography of sales as much as possible. So far the easy-to-start smart kit that we described above is available for about $80. By the way, the manufacturer claims that the lifetime of each Tradfri bulb will be about 25,000 hours. Learn more about innovative light bulbs that can change color temperature with a switch from our previous post: New LED Bulbs: How They Influence Hormones, Interiors and Family Budgets?